Socotra (Arabic: ? Suqutra), also spelled Suqutra, is a small archipelago of four islands in the Indian Ocean. The largest island, also called Socotra, is about 95% of the landmass of the archipelago. It lies some 240 kilometres (150 mi) east of the Horn of Africa and 380 kilometres (240 mi) south of the Arabian Peninsula. The island is very isolated and a third of its plant life is found nowhere else on the planet. It has been described as "the most alien-looking place on Earth". The island measures 132 kilometres (82 mi) in length and 49.7 kilometres (30.9 mi) in width. Socotra is part of Yemen. It had long been a part of the Adan Governorate. In 2004 it became attached to the Hadhramaut Governorate, which is much closer to the island than Adan (although the nearest governorate was the Al Mahrah Governorate). In 2013, the archipelago became its own governorate. Socotra appears as Dioskouridou ("of the Dioscuri") in the Periplus of the Erythraean Sea, a 1st-century AD Greek navigation aid. A recent discovery of texts in several languages, including a wooden tablet in Palmyrene dated to the 3rd century AD, indicate the diverse origins of those who used Socotra as a trading base in antiquity. 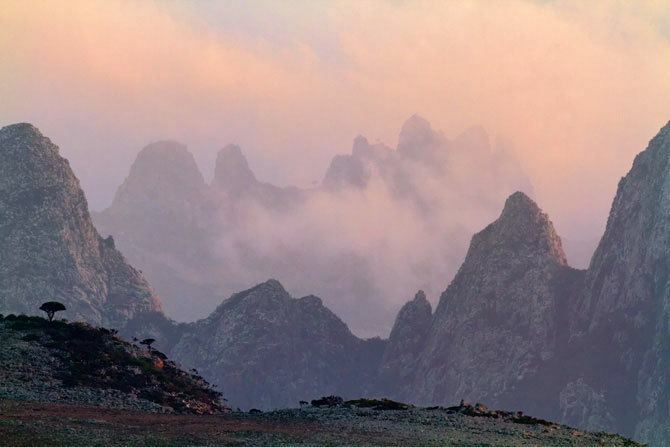 In 2001 a group of Belgian speleologists of the Socotra Karst Project made a spectacular discovery. Deep inside a huge cave on the island Socotra they came across a large number of inscriptions, drawings and archaeological objects that further investigation showed had been left by sailors who visited the island between the 1st century BC and the 6th century AD. Most of the texts are written in the Indian Brahmi script, but there are also inscriptions in South-Arabian, Ethiopian, Greek, Palmyrene and Bactrian scripts and languages. This corpus of nearly 250 texts and drawings thus constitutes one of the main sources for the investigation of Indian Ocean trade networks in the first centuries of our era. A local tradition holds that the inhabitants were converted to Christianity by Thomas the Apostle in AD 52. In the 10th century, the Arab geographer Abu Muhammad al-Hasan al-Hamdani stated that in his time most of the inhabitants were Christians. Socotra is also mentioned in The Travels of Marco Polo; Marco Polo did not pass anywhere near the island but recorded a report that "the inhabitants are baptised Christians and have an archbishop" who, it is further explained, "has nothing to do with the Pope in Rome, but is subject to an archbishop who lives at Baghdad". They were Nestorians but also practised ancient magic rituals despite the warnings of their archbishop. In 1507, a Portuguese fleet commanded by Tristao da Cunha with Afonso de Albuquerque landed at the then capital of Suq and captured the port after a stiff battle. Their objective was to set a base in a strategic place on the route to India, and to liberate the presumed friendly Christians from Islamic rule. Tomas Fernandes started to build a fortress at Suq, the Forte de Sao Miguel de Socotora. However, the infertility of the land led to famine and sickness in the garrison. Moreover the lack of a proper harbour for wintering led to the loss of many moored Portuguese ships, the most important of which was the Santo Antonio gallion under the command of captain Manuel Pais da Veiga. Thus the Portuguese abandoned the island four years later, as it was not advantageous as a base. 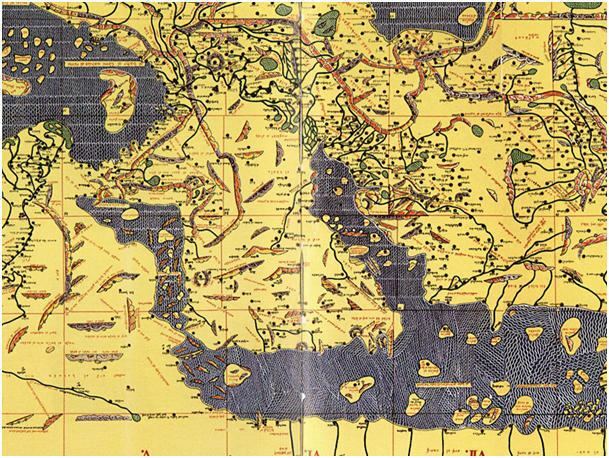 The islands passed under the control of the Mahra sultans in 1511. In 1834 the United Kingdom stationed a garrison on the island. Plans were made to make it a coaling station for ships bound for India, but the climate was considered unsuitable and the British left in 1839. In January 1876 it became a British protectorate along with the remainder of the Mahra State of Qishn and Socotra. The P&O ship Aden sank after being wrecked on a reef near Socotra, in 1897, with the loss of 78 lives. In October 1967, the Mahra Sultanate was abolished. On 30 November 1967 Socotra became part of South Yemen. Since Yemeni unification in 1990, it has been part of the Republic of Yemen. 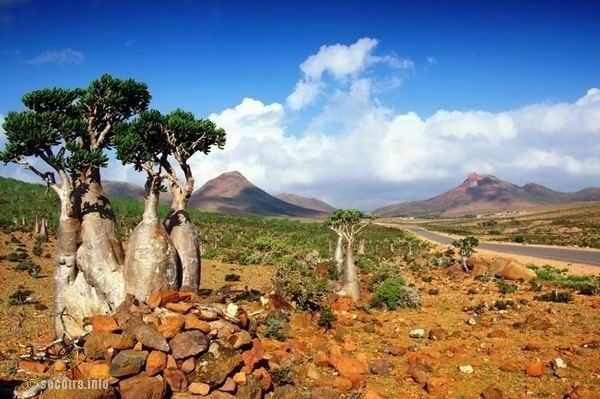 Socotra is one of the most-isolated landforms on Earth of continental origin (i.e. not of volcanic origin). The archipelago was once part of the supercontinent of Gondwana and detached during the Miocene epoch, in the same set of rifting events that opened the Gulf of Aden to its northwest. The archipelago consists of the main island of Socotra (3,665 km2 (1,415 sq mi)), the three smaller islands of Abd al Kuri, Samhah and Darsa, as well as small rock outcrops like Kal Firawn and Sabuniyah that are uninhabitable by humans but important for seabirds. The main island has three geographical terrains: the narrow coastal plains, a limestone plateau permeated with karstic caves, and the Haghier Mountains. The mountains rise to 1,503 metres (4,931 ft). The island is about 125 kilometres (78 mi) long and 45 kilometres (28 mi) north to south. The climate of Socotra is classified in the Koppen climate classification as BWh and BSh, meaning a tropical desert climate and semi-desert climate with a mean annual temperature over 25 °C (78 °F). Yearly rainfall is light, but is fairly spread throughout the year. Generally the higher inland areas receive more rain than the coastal lowlands, due to orographic lift provided by the interior mountains. The monsoon season brings strong winds and high seas. 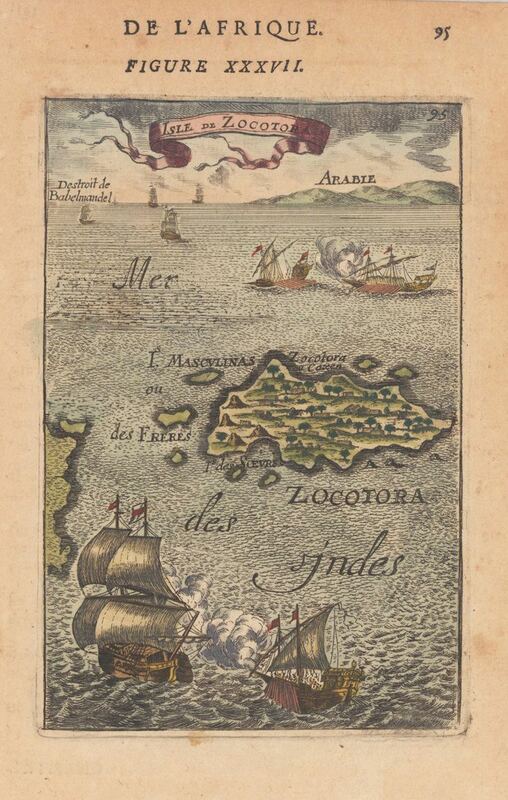 For many centuries, the sailors of Gujarat called the maritime route near Socotra as "Sikotro Sinh", meaning the lion of Socotra, that constantly roars—referring to the high seas near Socotra. The primary occupations of the people of Socotra have traditionally been fishing, animal husbandry, and the cultivation of dates.